Don't have time to create a playlist, or maybe you're not picky? No worries, as your doula, I can bring up my playlists for you to choose from! I've got some fun catchy tunes from Stevie Wonder, Jackson 5, and Ray Charles on the list along with a few contemporaries. This is perfect for super early labor where you are up walking, squatting, and working it! I've got some of my favorite crooners on this list -- Frank Sinatra, Michael Buble, Harry Connick Jr, and more. This list is perfect for when active labor is kicking in and you are starting to go within yourself, but you're still "with it" enough to want some melodic tunes playing in the background. This playlist has zen-like and spa music on it. I personally like this list when a mom is going through transition and still would like some background tunes without words (that might distract). So, whether you want to make your own, or let your favorite doula use hers, music can be a super useful tool in either energizing you, relaxing you, or tuning out other noises that can be distracting. Doulas are for all types of births. 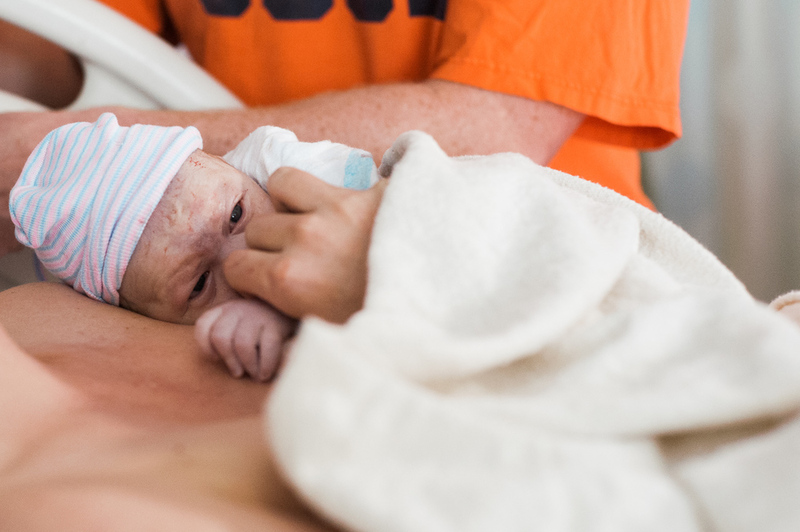 This amazingly beautiful birth was attended by one of the great midwives at Tennova (in Dr. Brabson's practice --- which I recommend if you are wanting a midwife attended hospital birth in the Knoxville area) and myself as doula & birth photographer. Enjoy some of the sneak peek highlights (shared with permission). Want more info about Hello, Darling Doula & Birth Photography services? Fill out this form and I'll send you an email ASAP!